Earn a top-tier income complete with benefits and more by joining the Prestera Trucking, Inc team. We are looking for qualified and experienced company drivers, owner/operators teams to serve our national network of commercial and government customers. Find your transportation solutions for special or hazardous materials when you call today. Ensure that your hazardous or specialized cargo arrives on time and safely when you partner with Prestera Trucking, Inc, a specialized carrier headquartered in South Point, Ohio. 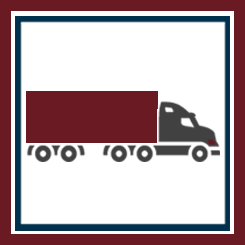 We transport general and specialized commodities across the nation, including classified, sensitive, and just in time freight, all at competitive rates. We also offer expedited services and dedicated movement of your freight. As members of the American Trucking Association, you can trust that our drivers are all trained and licensed, and operate with the utmost integrity. On time deliveries, customer service, and safety are our top priorities, we maintain one of the highest safety ratings in the industry. Thanks to the excellent communications between our dispatchers and drivers, we can assure your deliveries arrive on time and in the same condition as when they departed. With more than 50 years experience transporting specialized materials, Prestera Trucking is one of the leading companies in the industry.